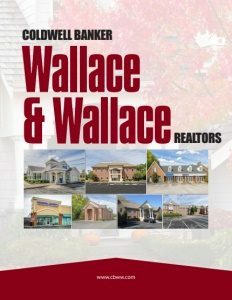 Business View Magazine interviews Jim and George Wallace, owners of Coldwell Banker Wallace & Wallace Realtors, for our focus on best practices in real estate. When it comes to the family real estate biz, George Wallace and Jim Wallace are brokers, owners, and, quite literally, brothers in arms. The east Tennessee legacy started in 1936 with Charles Wallace and his father, James Wallace. In 1945, Charles’ brother, J.A. Wallace, joined the company, then, in 1974, his son Jim signed on, followed by Jim’s brother, George, in 1983. 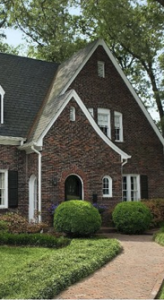 The long-time affiliation with Coldwell Banker began in 1988. With the jovial siblings leading the way, Coldwell Banker Wallace & Wallace Realtors has now become the go-to agency for home buyers in eastern Tennessee. Wallace & Wallace has seven offices, 350 agents, and 40 employees serving nine counties in the greater Knoxville MSA (Metropolitan Statistical Area). Under their purview are residential sales, commercial sales, property management, a title company, and a marketing services agreement with a mortgage company. 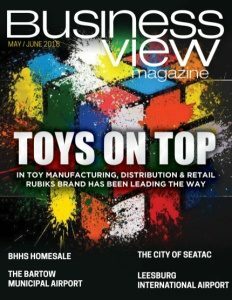 About 90 percent of the business is residential and 10 percent commercial. Rentals in the property management division include about 300 single family homes and some small commercial properties. Wallace & Wallace has just rolled out two unique company-wide programs. Adwerx uses big data that addresses the growing trend to more specifically target potential purchasers; to put the company’s listings in front of people who are showing buyer-type activity online. They opted to go with Adwerx this year, to benefit agents and also sellers, by getting them the most exposure for their house. The second new program, CirclePix, has a very heavy social media presence that helps clients and agents, as well. They may have distanced themselves from traditional print, but Coldwell Banker Wallace & Wallace does produce its own fabulous style of promotional material. A luxury magazine, in partnership with Unique Homes, that’s target-marketed to the affluent in the community and gets delivered directly to mailboxes four times a year. In essence, it’s more of a coffee table book showcasing the firm’s high-end listings. No other player in town has anything like it. And they’re stepping up their game in other ways. In January 2018, a new Wallace & Wallace office opened in a very high-profile location in Knoxville. The site has a small footprint, about a third of the size of their other offices. Very contemporary and sleek in design, it serves an area with high-education, high-income households, and high property values. There are no assigned spaces; all the rooms are high-tech and private, where agents can come and go as they choose. Several large national builders have moved into the Knoxville market for the first time and are developing properties they purchased in the region. Most of those developments began in 2017. The Wallace brothers say it’s a big shift in the market, and they’ll start to see the real impact of the numbers being produced in 2018/19. They are agents for some small local developer/builders, but none of the national companies. Coldwell Banker Wallace & Wallace is a company with a long history, yet it’s also progressive in its development of marketing and its appeal to agents. What started out as a small operation with one bookkeeper, one property manager, one salesperson, and a father and son in one office, has grown into a regional company with multiple offices and hundreds of agents. But its commitment to ethics and professionalism hasn’t changed.